Cardi B wants to turn up with her fans this summer. And y'all already know it's gonna be LITTY. The "Money" rapper will be headlining an adults-only Hip Hop cruise this summer with DJ Khaled and Post Malone. 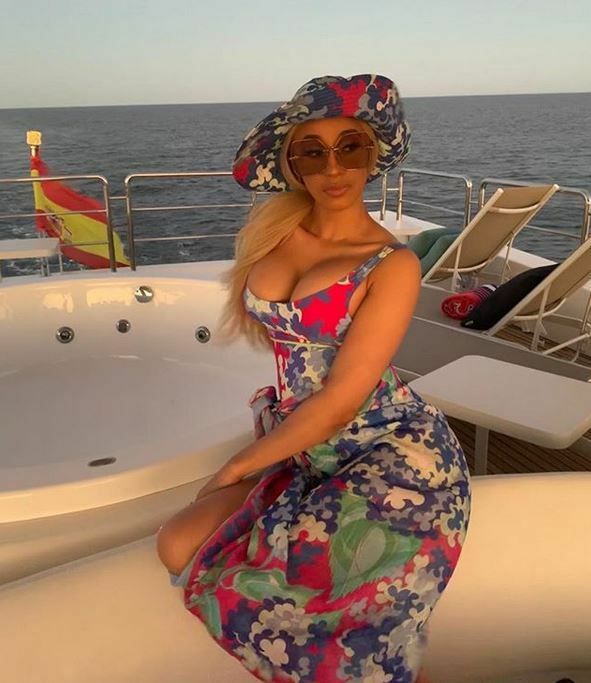 She confirmed her involvement via an Instagram video that shows an animated Cardi lounging with a drink in her hand. "The Days of Summer Cruise Fest" will set sail on June 28th from Miami for four-days and three-nights of non-stop partying. The boat, called the Carnival Victory, will travel to two different locations in the Bahamas before returning to Florida on July 1st. Guests will enjoy a world-class spa, casino, 24-hour dining, and drinks at one of the vessel's six bars, including a tequila bar and a station where you pour your own beer. Word? Sounds like the perfect summer girls getaway, right? By the way, you must be at least 18-years-old to attend. You MUST be 21 years of age (on embarkation day) to travel on your own. Guests under the age of 21 MUST travel with a relative or guardian 25 or older. Bardi, Khaled and Post Malone have already made plans for the cruise and more acts may be added to the line up. If you're trying to go, secure your bags or make some money moves. An interior cabin with four people starts at $1,062.50 per person. A suite for only two people will cost at least $3,500 per person. Get your tix and all the information you need to go here. Ciara is heating up the magazine circuit with a new cover. The "Greatest Love" singer posed it up for her first ever InStyle cover and shoot for the magazine's April 2019 issue. Inside, she opened up about when she knew her husband Russell Wilson was the "one," balancing her marriage and parenthood, how she got over her ex-fiance Future, her grueling post-pregnancy workout regimen (after giving birth to baby Sienna Wilson), and more. Still no prayer. We're still waiting sis. Their family vacay was LIT!